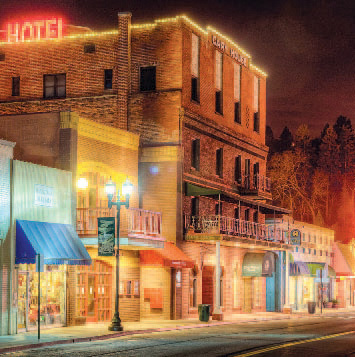 Come with us to the western slope of the Sierra Nevada Mountains home to the historic California Gold Rush. Today, you’ll discover liquid gold in the wineries of El Dorado, Amador, and Calaveras Counties. This massive wine region has so much to discover! Start with our Platinum List. Tyler earned his stripes at a few top-tier wineries in the Napa Valley before becoming winemaker for his family’s winery. Two of his efforts won Best of Class and Double Gold at the 2016 San Francisco Chronicle Wine Competition. Eric handcrafts his wines in very small lots. It’s hard to say which is his greater achievement: the stellar variety of French varietals and blends, or the intricate artwork he masterfully creates for each label. To appreciate both his wines and artwork, a visit to the tasting room is necessary. In fact, all of the original artwork used for the wine labels is on display there. Fruit-driven Zinfandel that reflects its vineyard of origin and other wines such as Petite Sirah and Grenache that demonstrate the diversity of the region are Sam’s focus. Inspired by the vineyards at elevations of 2,500 to 3,000 feet and their granite, volcanic soils, Chris crafts beautifully balanced wines. Many score 90-plus points. 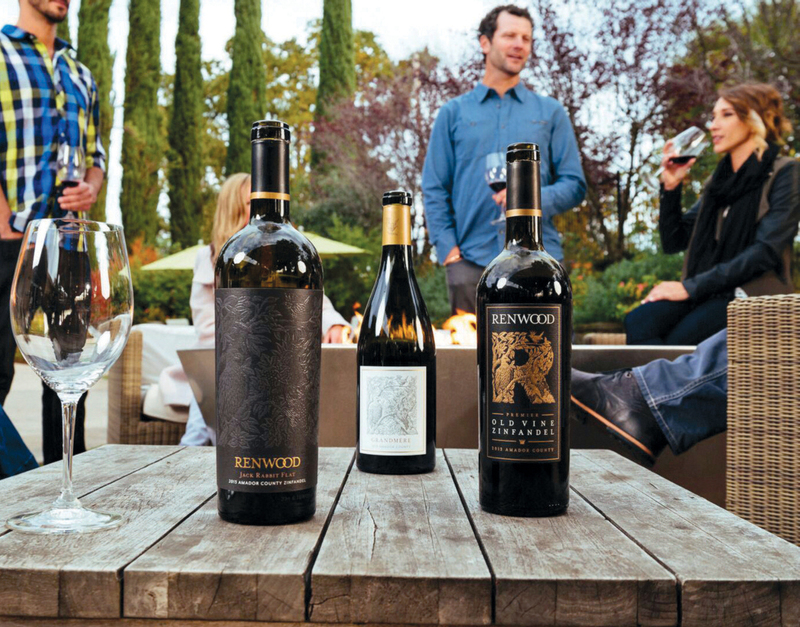 This veteran winemaker keeps hitting homeruns. His current portfolio includes a superb Tempranillo, a varietal he helped introduce to the mainstream market. His single varietal Cinsault is also a current standout. This new beer-focused eatery features 14 craft beers on tap. Favorites on the menu include caprese skewers, Korean beef sliders, garlic shrimp street tacos, and portobello penne pasta. Housed in an original stagecoach mile house, Smith Flat House is dedicated to supporting the growers, vintners, food artisans, and vendors of El Dorado County with an everchanging menu of dishes featuring fresh, locally sourced ingredients and local wines. Located in the Emerald Street Building downtown, this innovative eatery presents American Fusion cuisine to honor the various styles of regional cooking including Cajun, Southwestern, and more. The atmosphere is warm and inviting, and there’s an outdoor patio with a fireplace that is fun to sit by in the evening. The recently remodeled Round Tent Building is home to Cascada Restaurant & Cantina, serving an eclectic mix of Mexican favorites and California cuisine with a Latin flair. The wine list features many local wines along with great specialty drinks. 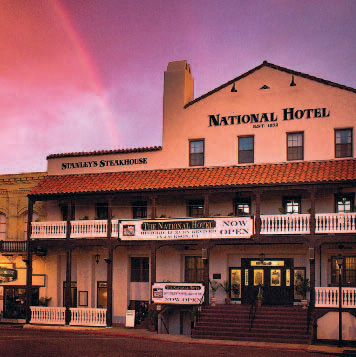 Inside the National Hotel, Stanley’s showcases steaks from the finest USDA prime beef and so much more including succulent seafood and pasta dishes. Many local wines and handcraft whiskeys are offered. Besides showcasing locally sourced fresh and seasonal ingredients, Chef Mark Berkner goes to great lengths to find rare or hard-to-find foods to weave into his highly acclaimed menu. Taste is widely considered Amador County’s premier dining experience. The 18-hole Greenhorn Creek Golf Course is home to Camps Restaurant and an elevated dining experience. 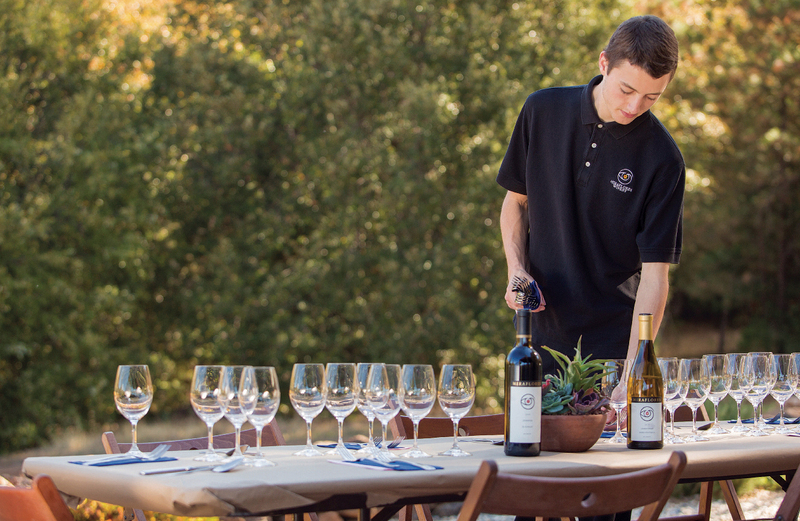 Camps proudly serves regional wines, hand-cut meats and steaks, and burgers from local, ranch-raised corn-fed cattle. Fresh fish, hand-tossed salads, and homemade desserts round out the menu. Guests at this charming retreat set on two forest acres are made to feel like they’re visiting their favorite aunt and uncle. Don’t be fooled by the stunning architecture and cathedral ceilings. The staff is warm and gracious and the stone patio in back begs to be enjoyed. 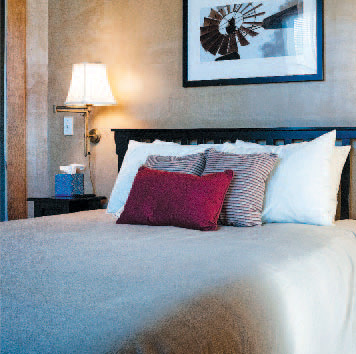 Tucked in a quiet canyon on beautifully landscaped grounds, this hospitable winery makes us want to stay all day—and even all night—at its elegant bed and breakfast. 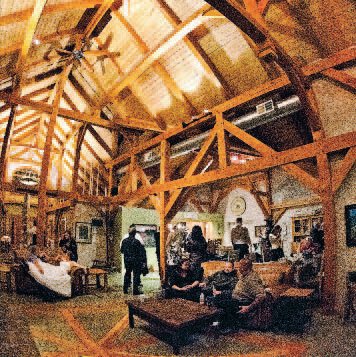 On the outskirts of Murphys, Ironstone is a center for hospitality with an expansive tasting room, museum, beautiful gardens, culinary center, outdoor amphitheater, and a lakeside park. Guests are greeted by a friendly staff. The deli case with cheeses and snacks is a wonderful gesture in this part of wine country. 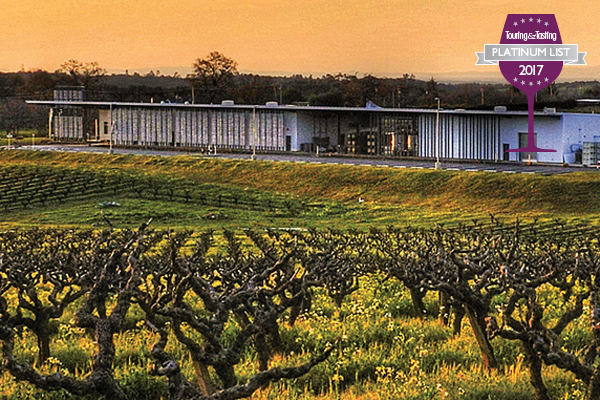 This may very well be the only California winery that focuses primarily on Sangiovese. The portfolio presents a variety of styles including several Chianti-inspired wines as well as Super-Tuscan varietals. The wines are handcrafted in small batches and, often, what’s here today is gone tomorrow. Yet, we’ve found that at any given time, the wines demonstrate that elevation definitely matters. We like this small family winery’s range. The eclectic portfolio always has some surprises, including the 2013 Teulu (Malbec), which earned Double Gold at the 2015 San Francisco International Wine Competition. This portfolio epitomizes the diversity of Gold Country. It skips across the globe, presenting elegant, food-friendly wines of many different origins. 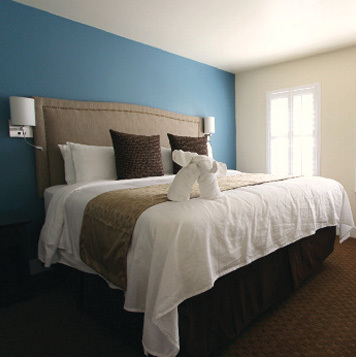 A chic boutique hotel on Plymouth’s Main Street includes 16 rooms, Complimentary breakfast, Nightly wine hour, Outdoor courtyard, and In-room refrigerators.